Select Size Small 18" Medium 24" Large 32"
Small: 18" X 10" X 8" Suggested pet weight : max 40 lbs. Medium: 24" X 12" X 8" Suggested pet weight : max 65 lbs. Large: 32" X 16" X 11" Suggested pet weight : max 110 lbs. 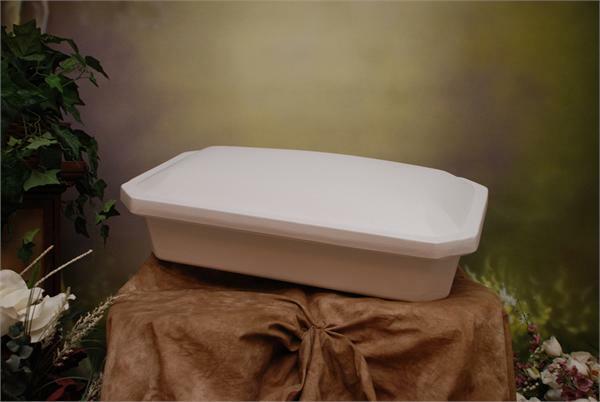 The pet casket has a white exterior and is made of two pieces, high impact Styrene construction. Pink laced trimmed pillow, coverlet and plush pink mattress made of elegant satin with matching upholstered casket lid are included plus double sided sealing tape. Call 253-649-0567 to discuss shipping options. Manufacturer only ships using FedEx. Please make sure to choose FedEx options only when checking out. All orders received by 12:00 noon central standard time will ship the same day. Orders received after noon will ship the following business day. 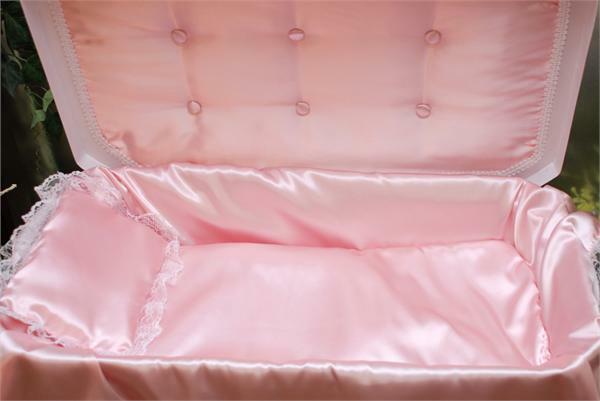 Detail of deluxe white pet casket with pink bedding and casket upholstery. Exterior view of the deluxe white pet casket. 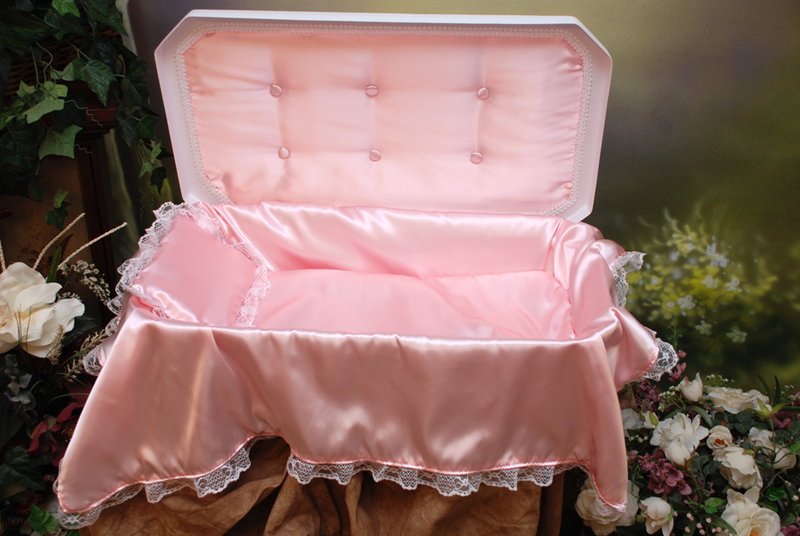 Please note that our manufacturers charge a 25% restocking fee for all caskets.